Closes in 5 h 8 min. 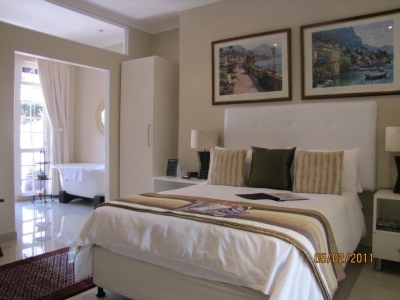 Offers 5-star accommodation in Westville, Durban, South Africa, including Guest House accomodation. The B&B is close to Durbans & Umhlangas beaches, the ICC, Suncoast Casino and Championship Golf courses. 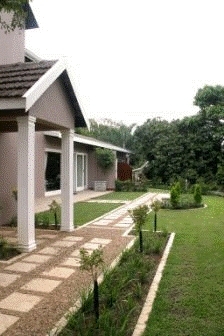 5 star Executive Guest House in the beautiful suburb of Westville, Durban. Two adjacent properties with beautiful sub-tropical gardens. Single, double, and family rooms. Luxury 3 bedroom holiday apartment in Ballito with sea views. Set in a secure complex and 500m from the beach. Sleeps 6. Up-market stone cottage on The Bend Trout & Eco Estate in the heart of the Midlands Meander. 20kms outside of Nottingham Road. Two en suite bedrooms, loft that sleeps 4 with bathroom. 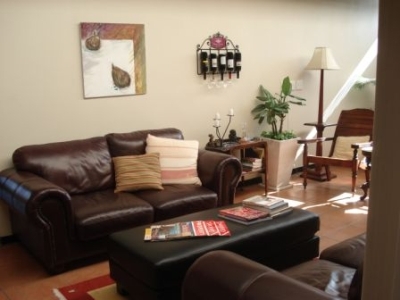 Sleeps 8. you’re looking for business, holiday, or family accommodation for your stay in Durban, then look no further. We, Emma and Nic Jacobs, have made it our business to look after you. Westville B&B consists of three Executive homes all set in sub-tropical gardens with sparkling pools, guest lounges, masterfully decorated en-suite rooms and family suites. There are 15 rooms in total . We are proud of our internationally recognised 5 star grading with the Tourism Grading Council of South Africa. 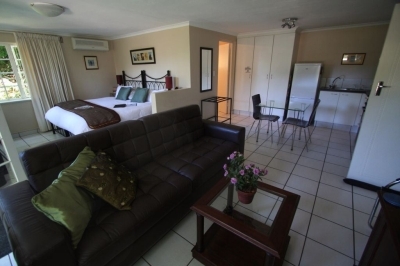 Westville B&B is well located for easy access from all major freeways and the King Shaka International. We are a mere 20 minutes or less from the beaches, Durban city centre, International Convention Centre Durban (ICC), Durban Exhibition Centre, Suncoast Casino, Durban Golf Courses, Umhlanga, and 10 minutes or less to the CBD of Pinetown, Westville Hospital, and the Westway & Westend Office Parks next to the Pavilion Shopping Centre. A comfortable two and a half hours drive to the mighty Drakensberg or the game reserves of Hluhluwe and Umfolozi. Westville Conference Centre has two adjacent Executive training rooms (a 20 seater and a 10 seater). Both lead out onto a lovely relaxing outside pool and entertainment area. Our conference centre is situated on a privately owned, residential property in the heart of the beautiful suburb of Westville, Durban. Be the first to write a review for Westville Bed & Breakfast!